We will be making slab containers for our next major project. It will have to be made mostly of slabs but you may want to have a sculptural element as well. Think about it. Which one of these containers is your favorite and why? the first one is my favorite because of the different colors and patterns. I also like the one with the fish on the lid. 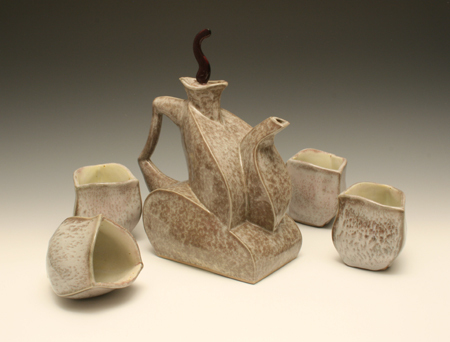 I like the last one because I like the color, and it is not only the slab container but also the tea cups. The first one is my favorite because of all the colors and patterns. Its so abstract and different compared to normal ones. I am a big fan of the second one. The simplicity as well as the unique shape of it is what makes it my favorite over the others. Third container is my favorite because its unique. The second one is my favorite because it has a unique shape. My favorite one is the first one because I like the colors and the designs, especially the swirls on it. I like them all because they have great detail and don't appear sloppy.